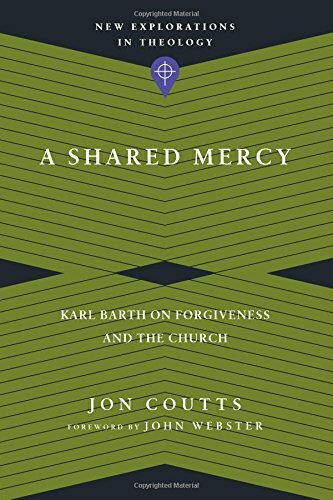 As I continue working my way through Jon Coutts' A Shared Mercy, the relationship of forgiveness and reconciliation must be addressed. How are these concepts similar? How are they different? And how does the Christian understanding of unmerited forgiveness play into the role of reconicliation? Just as God in Christ forgave us, so also we forgive. But God did not love and forgive in order for the amnesty to just cease apart from reconciliation. Rather the opposite, God forgave in Christ that the ministry of reconciliation might be performed (2 Cor 5:16-21). Further stated, God forgave and loved in Christ that we might love Him. God's efforts in forgiveness come with the innate desire for reciprocated love on our part. It is love and forgiveness that is not self-centered or self-justified. It always seeking the restoration of the other. When Christians focus on reconciliation, they must look outside of themselves to the active work of Christ. The example found in Jesus Christ removes the judgment of self-justification and false, self-gratifying forgiveness.